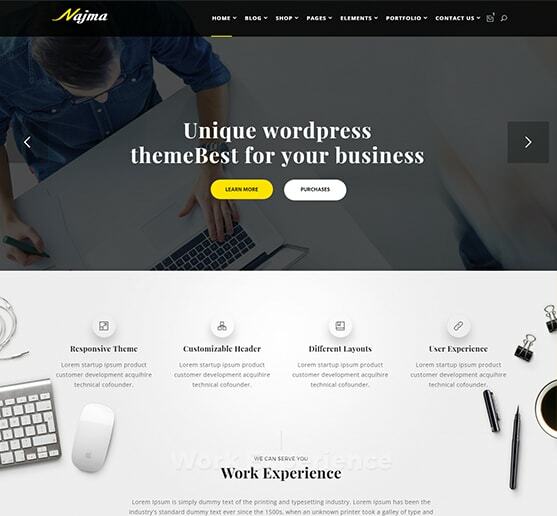 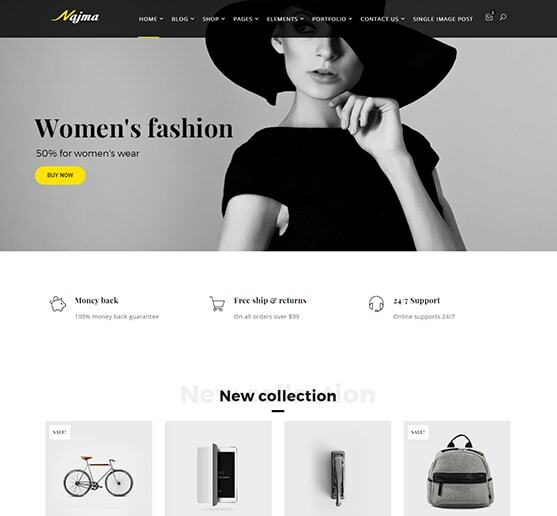 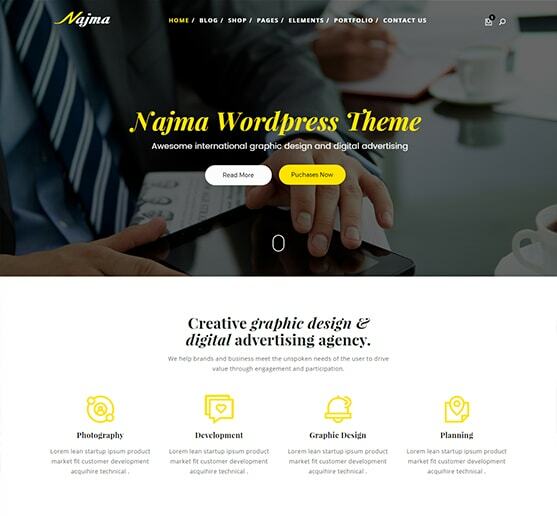 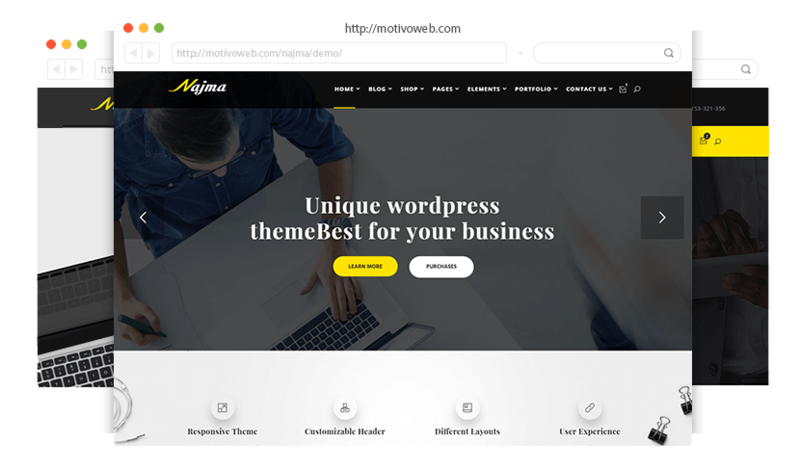 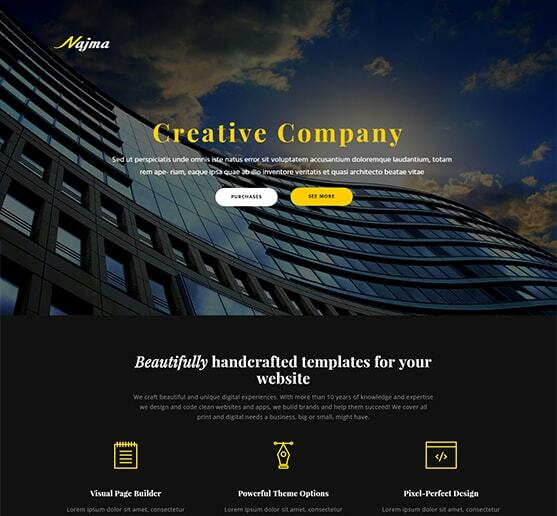 We have created a lot of pages to show you the potential of Najma WordPress Theme. 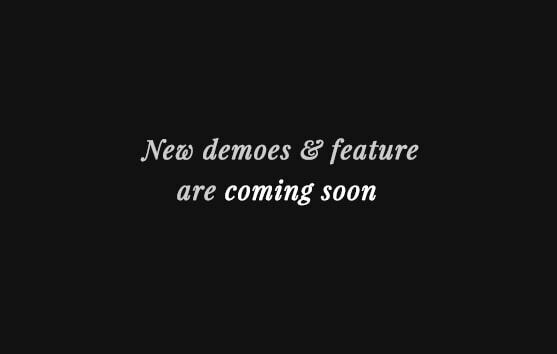 You can check all our pages from the menu but we take the time to choose some of the Homepage Demo . 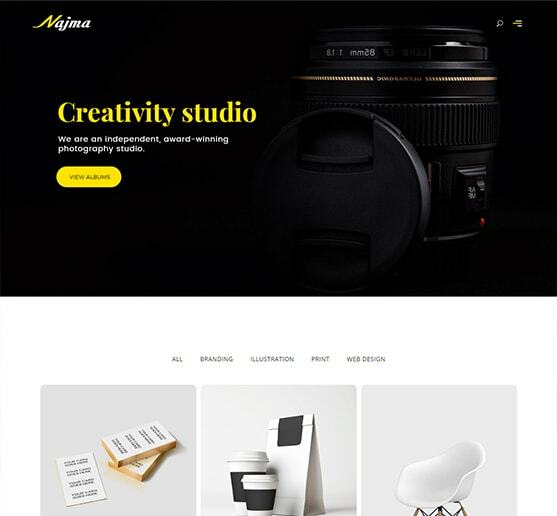 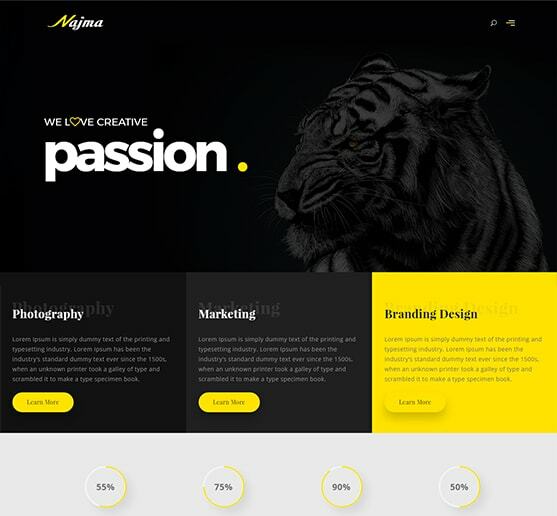 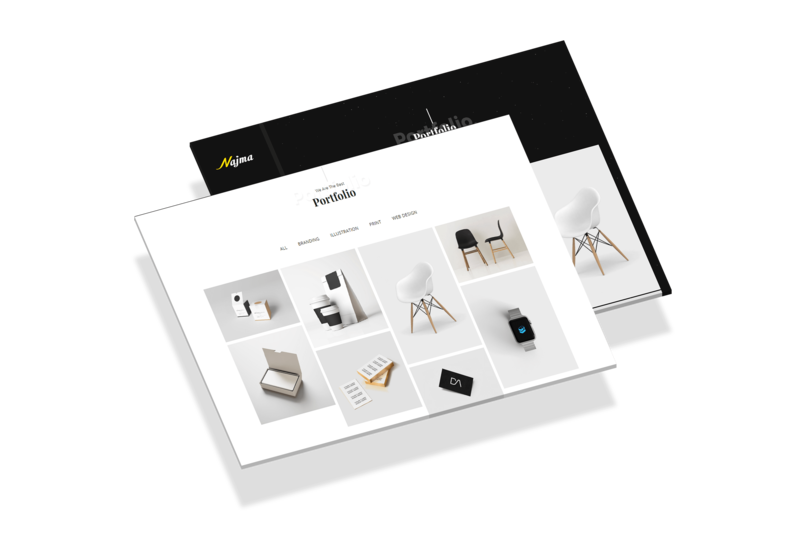 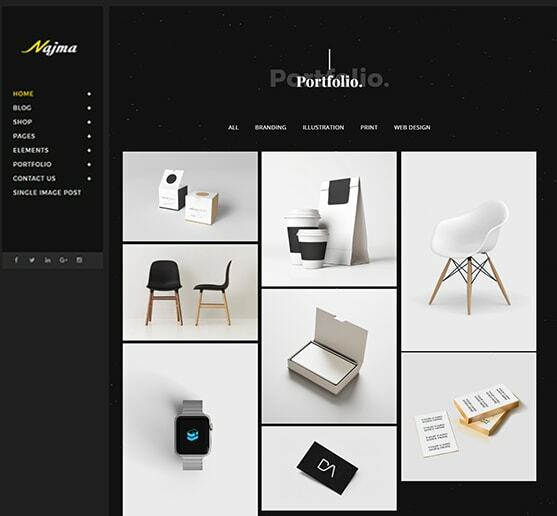 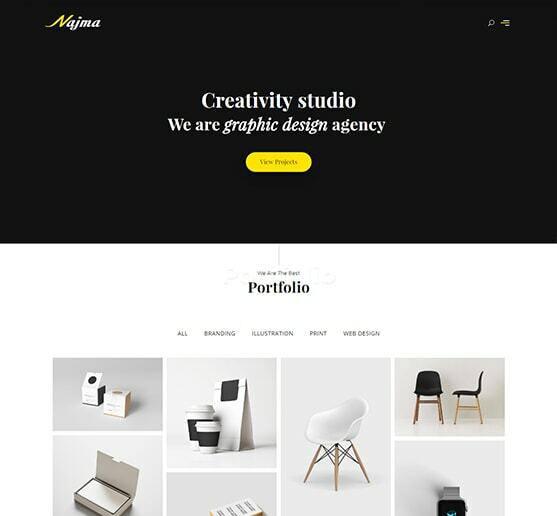 Arrange your creative projects with Najma theme in a stylish portfolio and gallery section to attract your potential clients and partners . 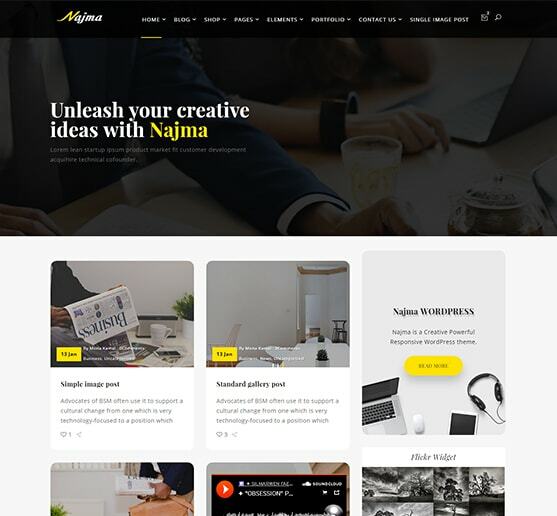 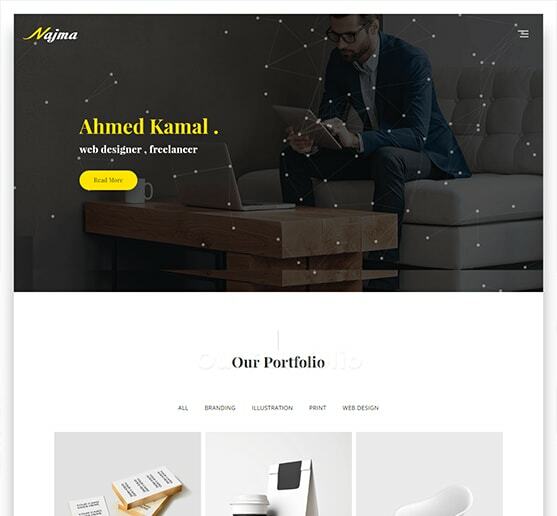 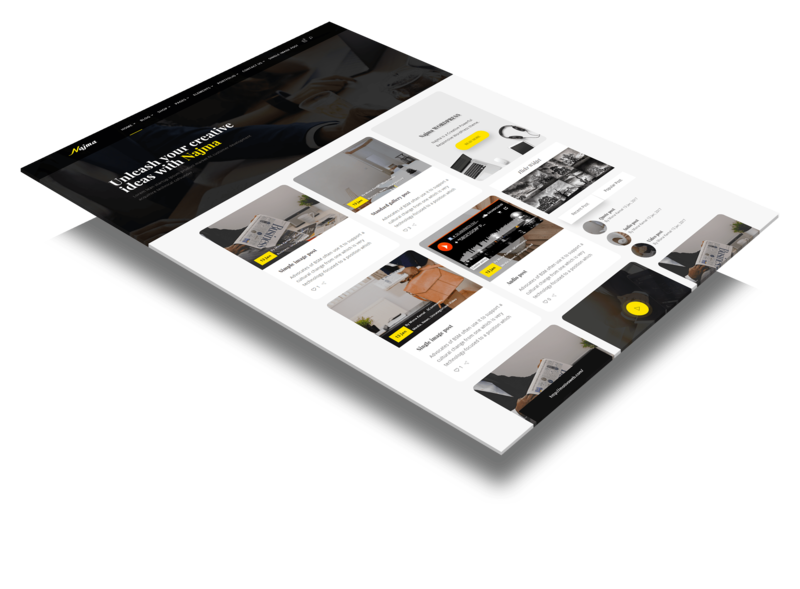 Create stylish and super informative blog with Najma WordPress template and share the latest news and your thoughts with the whole world. 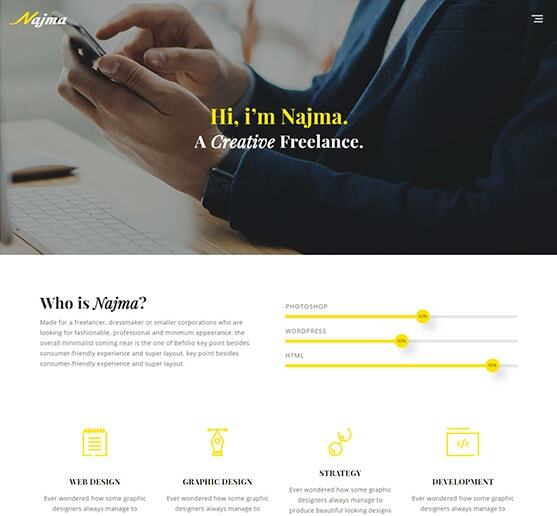 Najma come with an strong admin panel + admin style options. 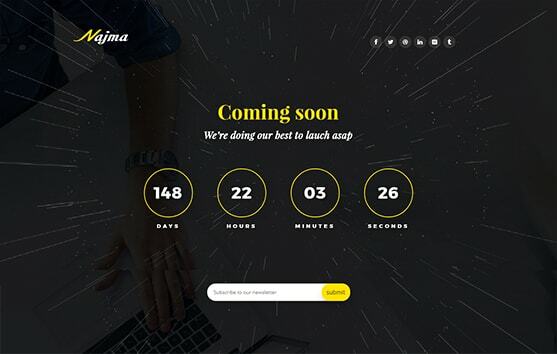 Najma comes with 07 different header style, for each style you can change the color. 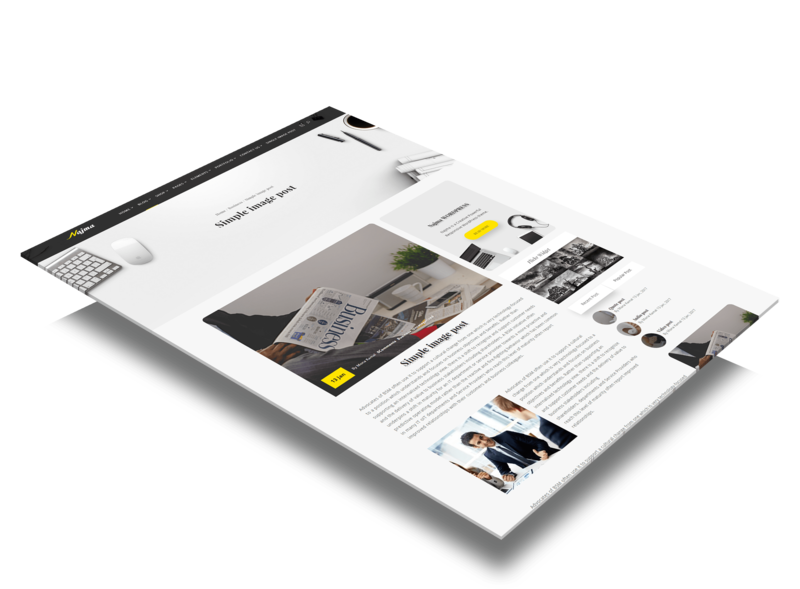 Building menus for your website has never been so easy. 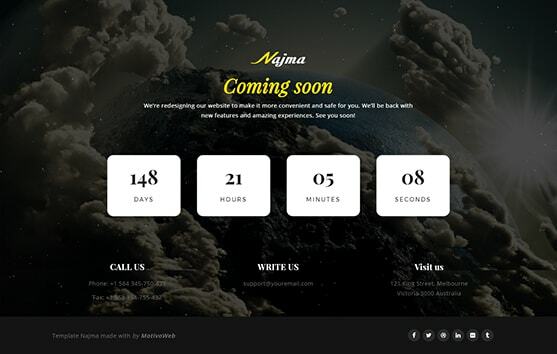 Najma comes with more the 10 different custom widgets. 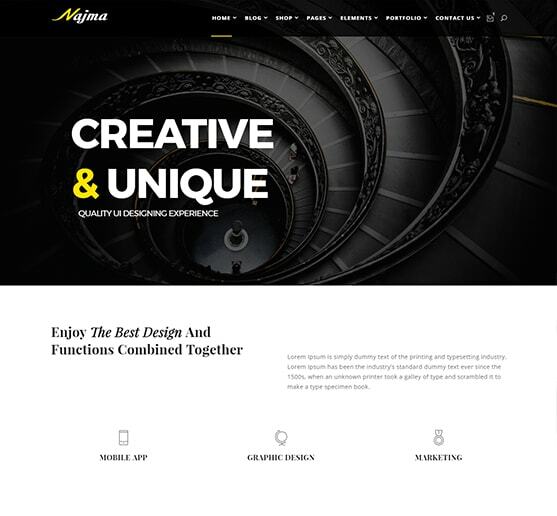 Responsive design, 12 columns grid. 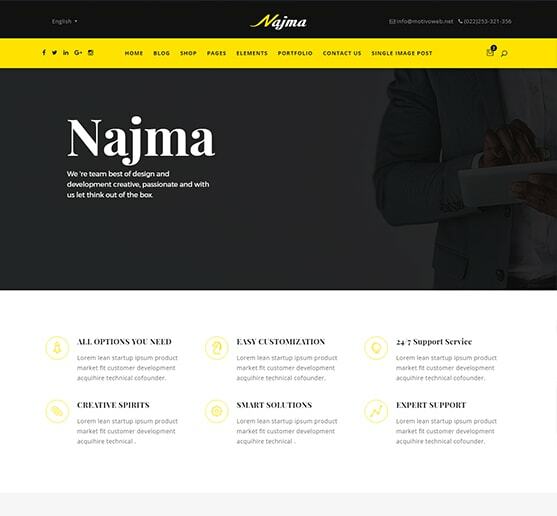 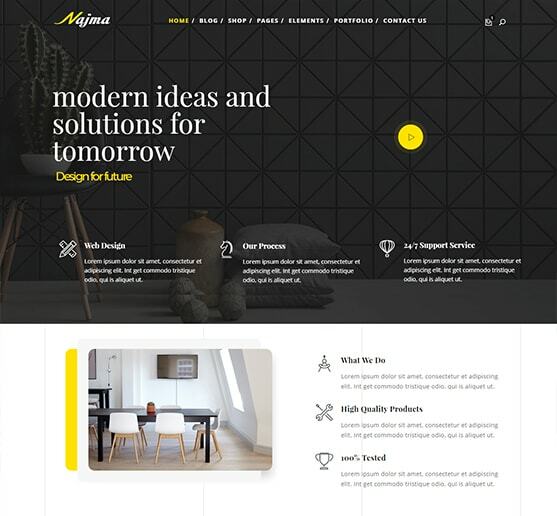 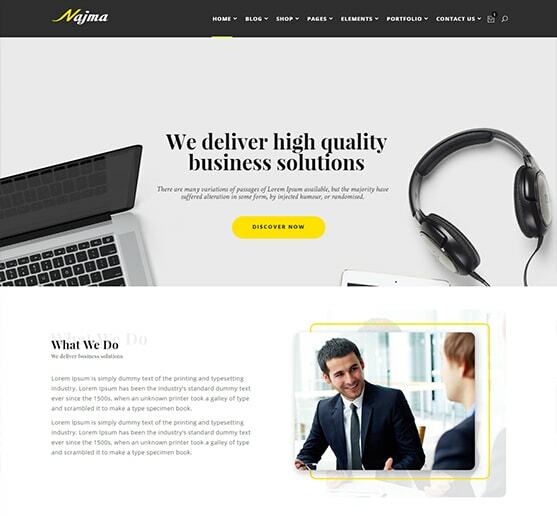 Najma allow you to have multi-page or one page websites or even both systems at the same time!